What is claimed to be the last portrait painted during his lifetime by the official court artist of the great Emperor of Punjab, Maharajah Ranjit Singh, goes under the hammer later this month. The superb miniature portrait was painted on ivory set in white gold brooch, also inscribed on gold - ‘Runjeet Singh'. It shows the ageing Maharajah looking serious in his full regalia. His left eye is closed - the result of smallpox in his childhood. ‘This is a remarkable find,' said Richard Westwood-Brookes, Historical Documents Expert for the auctioneers, Mullock's, who will sell the portrait on April 19, 2011. ‘The Maharajah, known as ‘The Lion of the Punjab', is a revered and important figure in Indian history - particularly the history of the Punjab. He was crowned in 1801 and remained in power at the head of the Sikh Empire until his death in 1839. 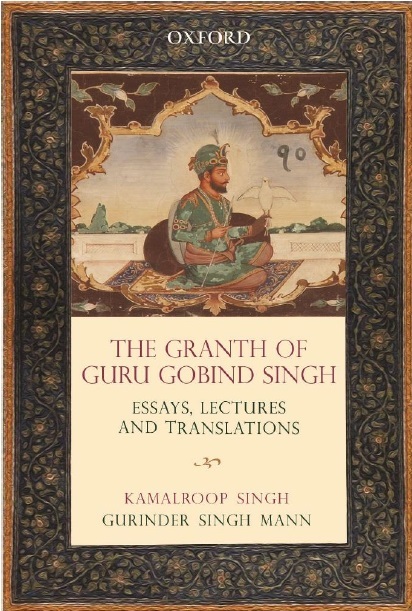 ‘His reign marked the highest point of the Sikh Empire which degenerated after his death. In the 1840s the British fought against the Sikhs in the two Sikh Wars resulting in the annexation of the Punjab by Britain.' The portrait is expected to make up to £3,000 when it goes under the hammer. The sale also features a miniature on ivory of the boy Maharajah Duleep Singh, probably drawn from life and showing him around the age of 13, and there are two documents which are of considerable importance in the life of Duleep Singh. The first is a memorandum prepared for Queen Victoria which paved the way for Duleep Singh to become a Christian, and a second memorandum, also prepared for Queen Victoria suggests the financial settlement which the British offered to Duleep Singh when he became 21. The sale also features a large number of important documents relating to India, the Punjab and the Sikh Wars. Also included is a Royal Sikh Order captured at the Battle of Goojerat - the last battle in the Sikh Wars. This is expected to make up to £1,000. Also featured in the sale are rare letters of General Jean-Francois Allard, the French soldier who was one of Maharajah Ranjit Singh's most loyal Lieutenants; a fine letter concerning the birthday celebrations for Maharajah Duleep Singh, and an important letter of Maharajah Bhupinder Singh. The sale takes place at the Clive Pavilion, Ludlow Racecourse at 12 noon (British Summer Time) on April 19, 2011, with viewing on the morning of the sale.